Even after his distinguished NHL career came to a close, Mathieu Schneider, one of four new members inducted into the United States Hockey Hall of Fame, is still very much the definition of a true team player. His time competing at hockey highest level, 1,289 NHL regular season games, to be exact, with and against top-level talent, yielded one Stanley Cup (in 1993), a World Cup of Hockey crown (1996), two All-Star Game appearances, and standing as a coveted teammate and key contributor at both ends of the ice. 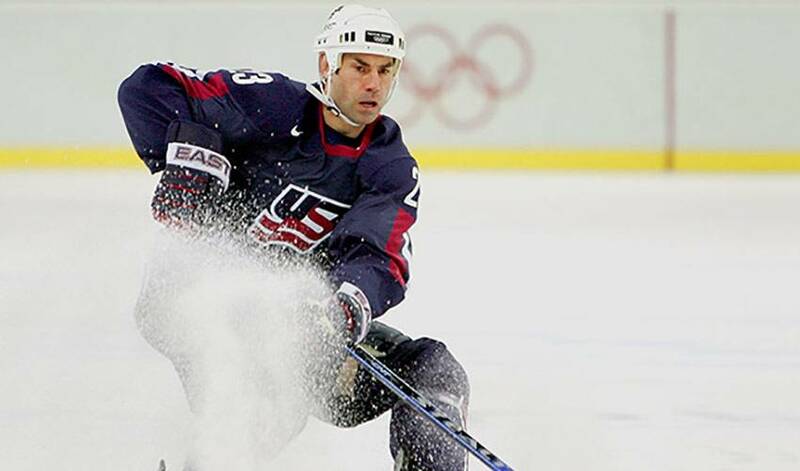 On Thursday, the veteran of 21 NHL campaigns will be recognized for his outstanding career when he takes his place in the United States Hockey Hall of Fame, part of a group that includes Chris Drury, a two-time Olympic silver medalist who played in 892 NHL games. Selected 44th overall in the 1987 NHL Entry Draft, Schneider, born in New York, is listed among the top U.S.-born defencemen in a slew of all-time statistical categories. He sits third in games played with 1,289, fifth in points with 743, fourth in goals (223), third in power play goals (100), and fourth in game-winning goals (36). Schneider would play parts of eight seasons with the Montreal Canadiens, highlighted by the Original Six squad’s Cup triumph 22 years ago. The smooth-skating rearguard would suit up with 10 teams altogether. During his time with the Detroit Red Wings, Schneider skated in his milestone 1,000th NHL game, on October 21, 2005, a season in which he netted career-high marks in points (59) and goals (21). Internationally, he wore the colours of the United States at two Olympic Games, in 1998 and 2006, accompanied by his World Cup of Hockey title. Revered by his teammates and respected by the opposition, the former two-time Ontario Hockey League First All-Star Team selection played his final NHL season in 2009-10, with Vancouver and Phoenix. Schneider’s willingness to stand up for his fellow players during his NHL days has carried over into his current role, namely, as the special assistant to the executive director with the National Hockey League Players' Association. It’s a role he covets. On December 17, the 46-year-old Schneider will once again be part of a winning team, joining Drury, Angela Ruggiero and Ron DeGregorio as the newest members of the United States Hockey Hall of Fame. The induction ceremony will take place in Boston at the Renaissance Boston Waterfront Hotel.